Doris Day’s lyrics really speak to me. I really need a vacation. Sipping on tea with The Hubby, enjoying our life together, free from work and stress, that sounds pretty darn good. So good, in fact, that my daydreams came true! During the long weekend we flew down to Miami with the Sugar family. Suddenly I was transported to a place far, far away – a place full of palm trees and beaches! Swimming brought me back to my childhood when, during the dog days of summer, my sisters and I would take up residence at the beach and pool. We’d spend the entire day diving for rings and competing in underwater hand-stand contests. My parents used to call us “fish” because we lived in the water. In fact, we’d whine uncontrollably when it was time to go home. It didn’t matter that our fingers and toes were so pruned, and our hair completely disheveled from the chlorine – we refused to leave. One of my most fond memories was having underwater tea parties with my sisters. The three of us would dip underwater, sit on the pool floor, and arrange a tea party. We’d pour tea, eat crumpets and “chat”. My mom was always in the pool with us, and I think she got a lot of nachas from seeing my sisters and I play so nicely. It was particularly fun, however, when my dad would hop in the pool and join us in our tea parties. He was such a good sport, and always made the funniest faces when pouring tea (yeah, I used to open my eyes under water and peek!). In Miami, The Husband even agreed to join me in an under-water tea party (a first in our marriage!) and let me tell you, it was just as much fun today as it was 20 years ago! 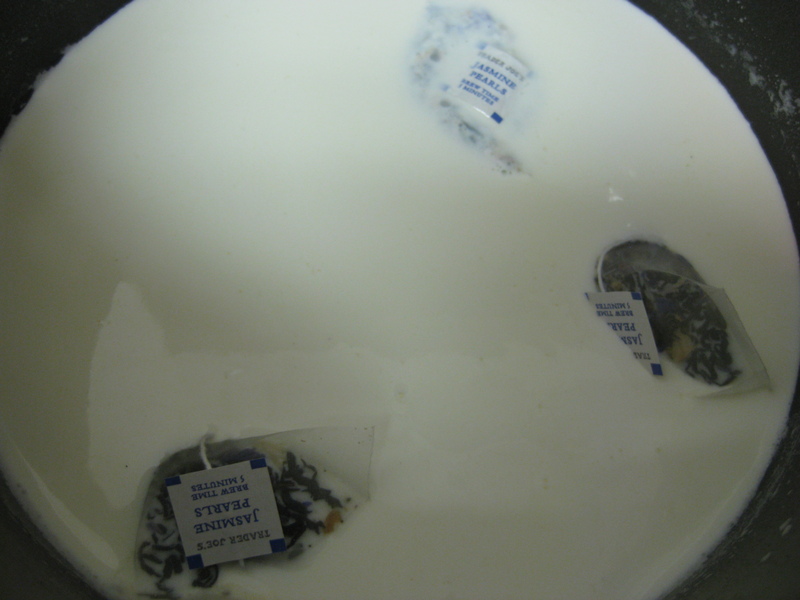 Steeping the tea bags in milk, hoping that the liquid turns a color...alas, it does not. Plain, white tea. This ice cream would have been perfect for our tea parties! But, alas, I wasn’t making ice cream at the ripe old age of 8. And, to be honest, I would have never thought of this flavor except for the fact that someone challenged me to create it. I thought long and hard about how to make it, and realized that it’s probably like making a tea latte – and that’s just what I did. So, here’s to enjoying tea for two – whether curled up on a chaise lounge with your loved one, or at an under-water tea party with your sisters. Cheers! Hold on to your hats. This is extremely simple! Warm the milk, half-and-half and sugar in a medium pot. Once the mixture starts to simmer and the sugar is blended, turn the heat down to low, add the four tea bags and let the tea steep for 15-20 minutes (depending on how strong you want the flavor to be). Turn off the heat and remove the tea bags. Make sure to wring out the excess liquid and flavor before discarding the tea bags. Taste. If you feel that the flavor is not bold enough, add one more tea bag, turn the heat up again and steep for 10-15 minutes. Personally 4 tea bags was enough for me, but my taste-testers (who were big Jasmine tea aficionados) said they would have liked it even stronger! Let the mixture cool entirely before refrigerating for at least 2 hours. 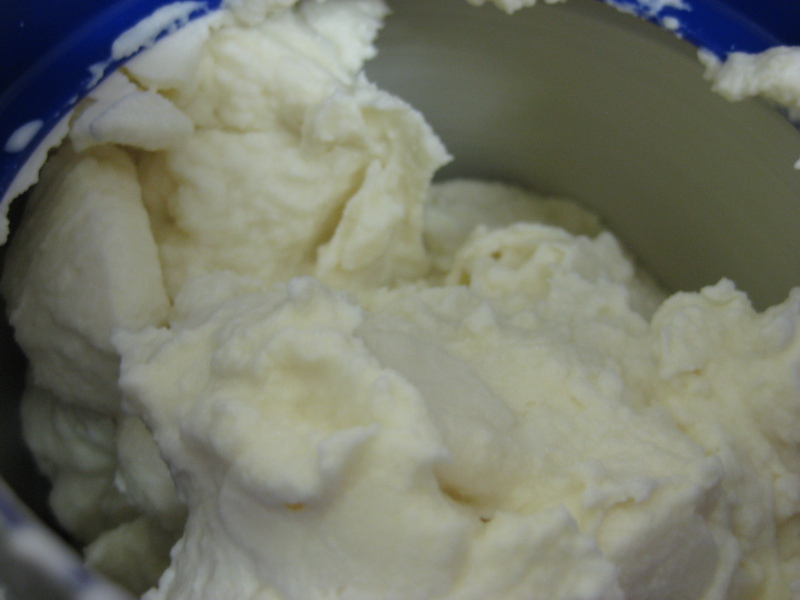 Pour the mixture into the bowl of your ice cream maker and churn according to the manufacturer’s instructions. Transfer to a freezer safe container and enjoy! 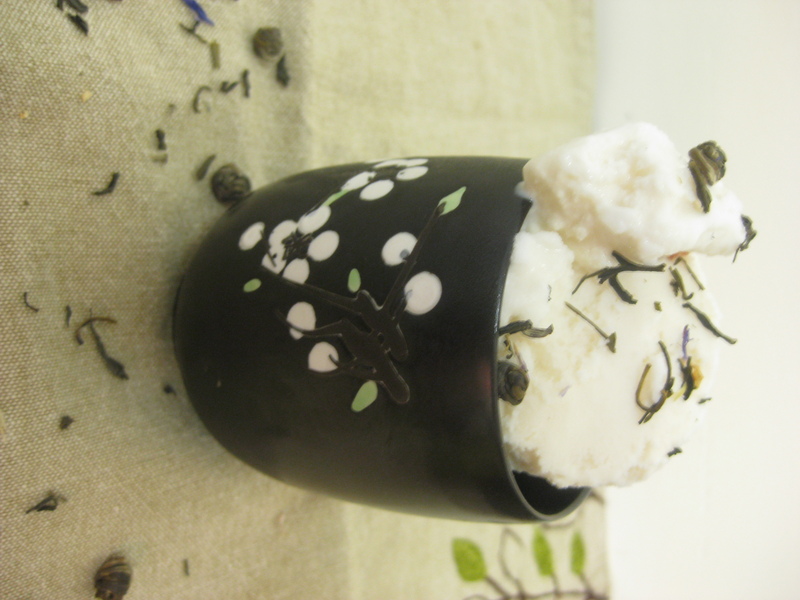 "Pour" yourself a cup of Jasmine Tea Ice Cream and enjoy! Note: As you can see, this recipe is not a custard (it’s egg-free) so its slightly less creamy, and does not keep as well in the freezer. I recommend eating this within a day or two when it’s still fresh and delicious. The Verdict: Even though this basically looked like vanilla ice cream (all white -no color!) it tasted exactly like Jasmine tea. As someone who doesn’t really like Jasmine tea (or many teas for that matter) I could definitely appreciate that the taste was rich and spot-on, but I can’t say that I was stealing spoonfuls straight out of the ice cream maker. Yet, the Jasmine-tea-lover (who put me up to this recipe challenge in the first place!) said that the ice cream was really delicious. So, I guess this really is the perfect addition to any tea party. Enjoy! Everyday I have at least one cup of Jasmine tea, so you know that you have me with this ice cream! 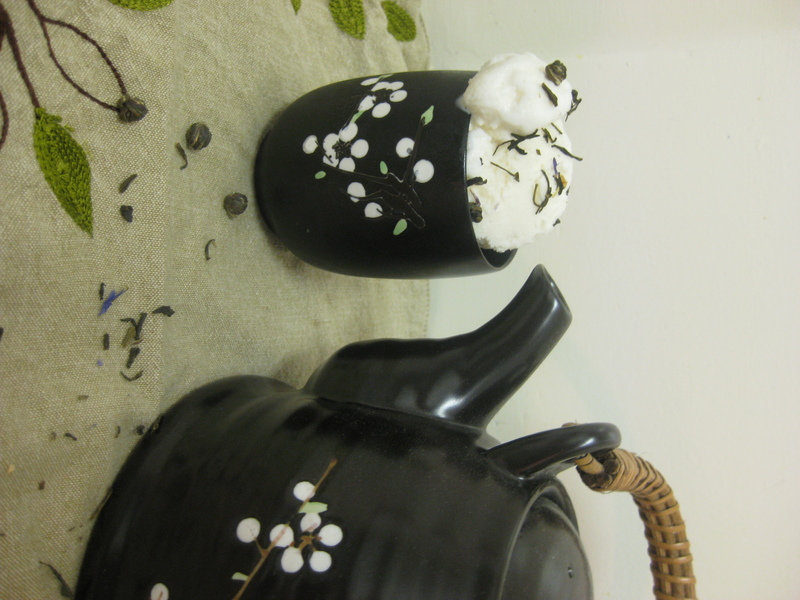 I’ve made green tea ice cream with gunpowder tea, and this one looks like it could be even better! 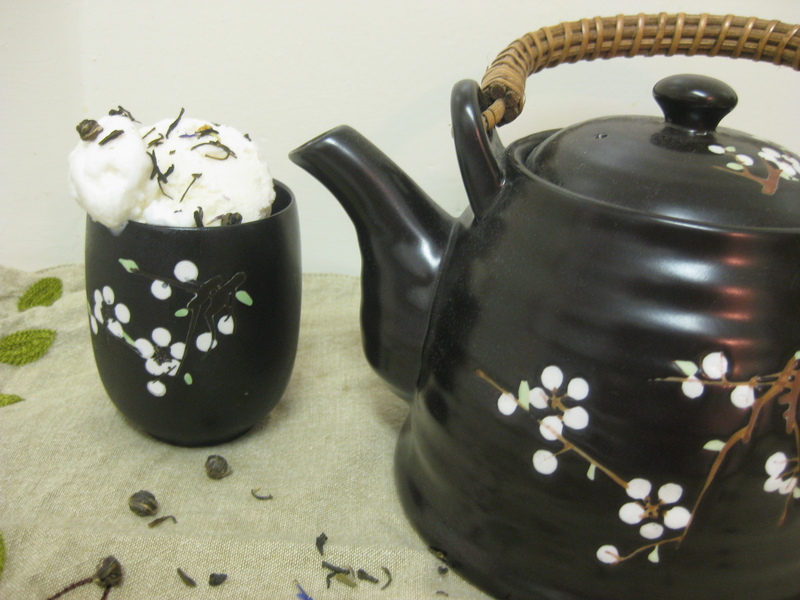 Forgot to ask – where do you get your Jasmine pearl tea? 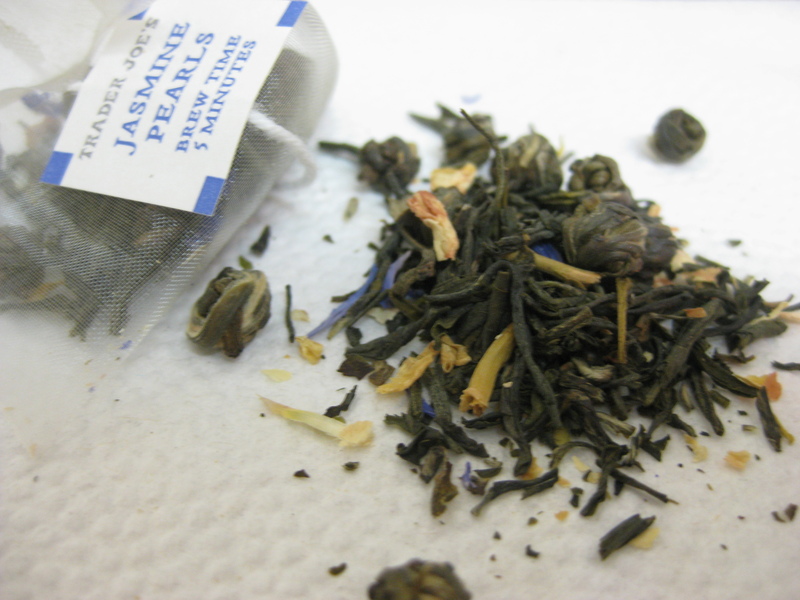 The Jasmine Pearl Tea is from Trader Joe’s. It’s not loose leaf tea but it worked perfectly! I suggest making this into a custard next time, by adding 3 egg yolks, adding the sugar and tempering (follow any other of my recipes to see how to do this) – the ice cream will be creamier and thicker. Enjoy!